Of all the apps I’ve reviewed and purchased over last few years, Endless Alphabet—a free educational kids app for iPhone and iPad—is the one that my 4-year-old son has loved the most, far and away. He’s played with it longer, asked for it more often, and gotten bored with it much less quickly than just about every other app he’s ever used. The appeal should be no secret; even to adults who have supposedly outgrown such things. Endless Alphabet is made by Callaway Digital Arts, the same folks who have made The Monster At The End Of This Book. The first version of that app was buggy and frustrating when it first launched a few years ago, but was quickly updated, and then became one of the best kids’ offerings on iOS. It’s clear by now that Callaway has figured out how to escape the first-version stumbles to deliver apps that are reliably entertaining, educational, and interactive for kids. The company might be the Pixar of children’s applications. Select a word from the in-app glossary. Endless Alphabet is extremely simple to use. Open it up, and you’re offered a short glossary of words. (Don’t worry: The glossary will grow over time, as Callaway regularly adds to the list of words available to play—although, weirdly, you must be online and have disk space available on your device to see words beyond the letter G.) Tap one, and the word appears on a notebook page in plain letters. 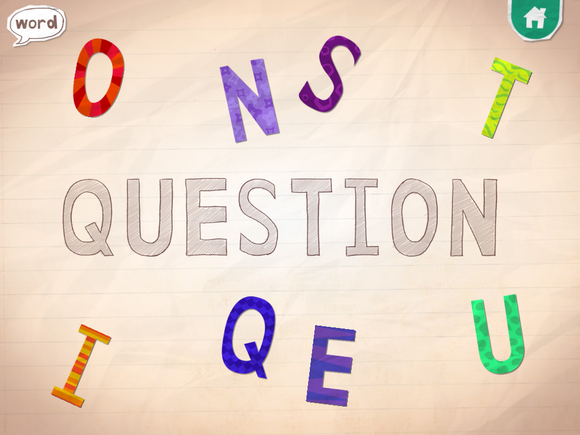 A second set of letters—each a colorful cartoon creature—is scattered around the page. Tap a letter creature and it’ll respond by making the letter’s sound, to hilarious effect (Tap the letter “B,” and you’ll hear ”Buh...bububububuh...BUH!”). You’ll drag the letter to its match in the original word; put it in the wrong spot, and the app makes an adorable sad trombone sound. Then, drag the letters to spell the word out. 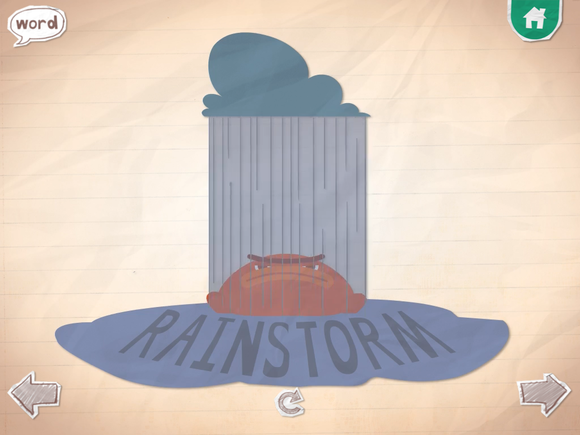 A cute animation will define the word you've just formed. And that’s it. 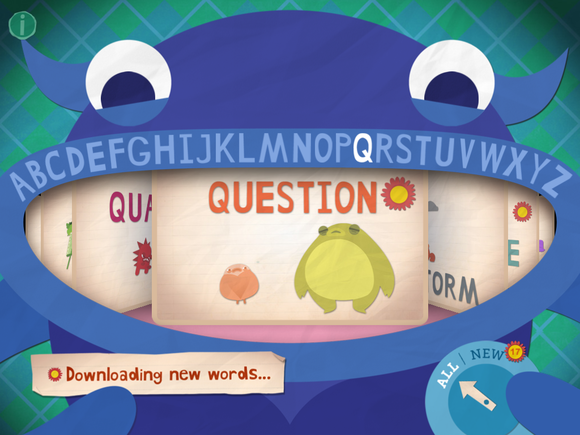 While the app gamifies learning words and letters, there are no high scores or time limits. A child can take as long as he or she wants to construct the word, and receives the same rewards for doing so. And as I said: It appears to be the most fun my own son has had learning. Even after having access to the app, off-and-on, for several weeks, he still giggles at the animations and the way the letters hiss at him. Endless Alphabet is free, but users are warned: there are ads in the app, and you’ll need to make an in-app purchase to make the ads go away. Most parents will probably want an ad-free experience, myself included. But I actually never made this in-app purchase, and I never encountered an ad, nor did I ever discover a way to go ahead and pre-emptively pay the fee. I might’ve found one of the app’s bugs, but in this case it worked out for my family and me. 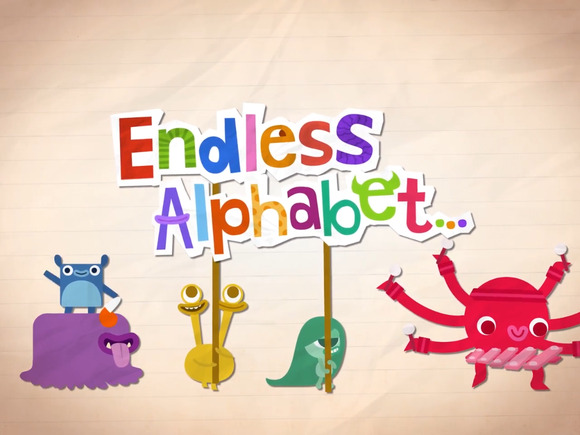 Endless Alphabet is fun, educational, and easy to use. It is probably the best children’s app I’ve ever had the chance to use; my four-year-old son, at least, certainly thinks so.